Tonight as we got ready for bed my 5 year old had a question for me about the Northwest Passage. He’s a Stan Rogers fan and a rail fan and wanted to know the difference between the Ontario Northlander rail service and the Northwest Passage. I tried to explain about the Franklin Expedition, but I realized as I explained it that Franklin is also a turtle in Canadian children’s story series. So I tried to also explain that Franklin was the captain’s last name, and the horrible thing that happend to him and his crew was over 150 years ago and all the ways we travel today are much safer. But, I didn’t think there was too much of a distinction made between the two Franklins and that time line was a guess. A good question for Siri (we ask her a lot of things) but we’re in PJs (no pockets). 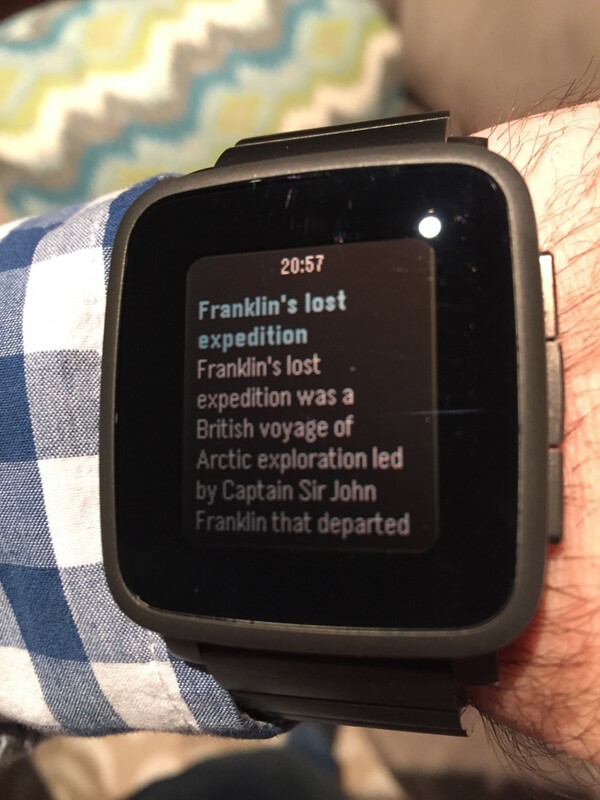 It occurred to ask the Wikipedia app on my Pebble smart watch, and sure enough, my watch Bluetooth’ed its way to my phone, on to Wikipedia, and returned a summary of the Franklin Expedition. It’s the kind of thing Google Now and Siri can easily do (and the Apple Watch), but there was something even cooler with the the answer coming from something strapped to my wrist that’s there when I do the dishes or change the tires on my car. The largest general reference work ever strapped to my wrist, and nowhere near as precious of anything else I’d accessed it from before. 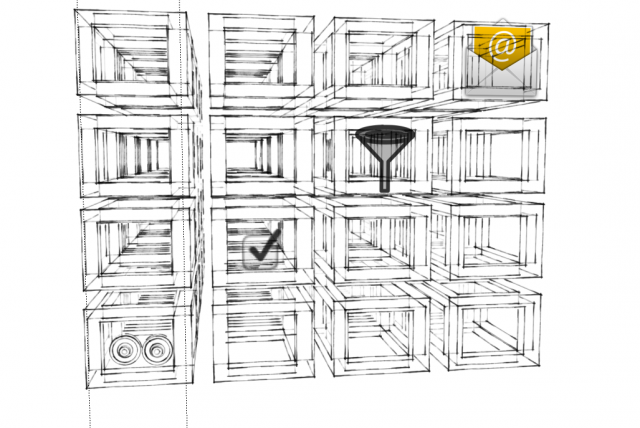 Definitely one of those “the future is now” moments. 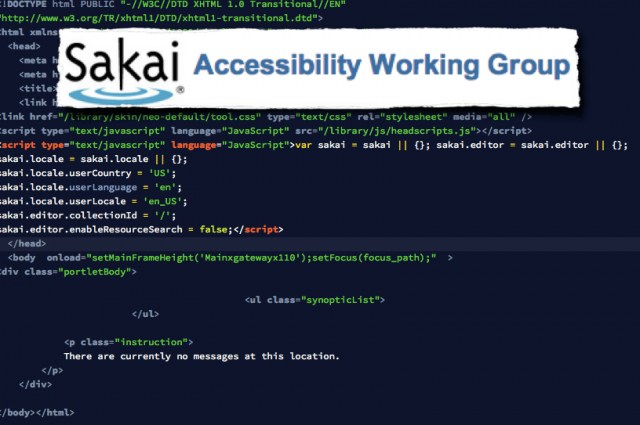 I recently accepted the lead of the Sakai Accessibility Working Group. It’s an honour and a challenge and I’m going to make the most of it. 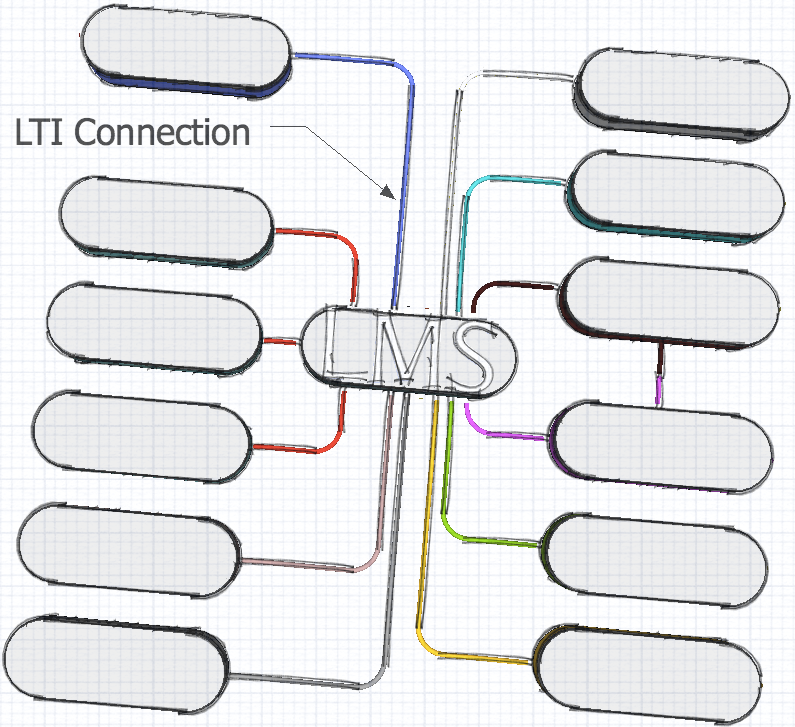 At Brock University we use Isaak as our learning management system, which is based on the Sakai CLE. In Ontario Canada we’re operating under the increasingly more stringent Accessibility for Ontarians with Disabilities Act (AODA) which wisely cites the various levels of the WCAG 2 as its own standards. Because of this and because its the responsible and technologically ideal way to proceed: web accessibility is important to me. I’m a big believer that there’s a lot that can be done to improve web accessibility if more people just had a little more knowledge about the issue and the solutions and were able to apply that knowledge at the correct time. To that end I’m coordinating conference calls about Sakai accessibility every other Thursday at 2:00 eastern (all are welcome – Add the next meeting directly to your calendar.). What we do as an accessibility working group is review general issues and trends in the Sakai CLE (sometimes there’s an OAS), set goals, offer advice, and slog through the JIRA tickets (bugs in the bug tracker) and offer to add a solution, advice or other wisdom as needed. We’re also trying to spread critical web accessibility information in the Sakai community and beyond. Projects in the Sakai community include ongoing information sharing and canvasing (even, blogging) about the need to get more people involved, and reaching out to other upstream projects, like CKEditor and JQuery UI to both pass feedback to them and to apply their latest and greatest solutions to Sakai. I don’t claim to be an accessibility expert, but I do understand the standards and I’ve been writing HTML so long I the two platforms I originally had to test on were a 486 Compaq and an Amiga A2000HD. More importantly, I care.